Thinking good thoughts isn’t enough. Chris Mullin, Deputy Director, Cabinet Office’s Implementation Unit, describes how he and his colleagues are working with departments to get things done. In the spring of 2012, implementation was hailed, depending on where people were coming from, as both the new paradigm of UK Government and its new buzzword. The Prime Minister and Deputy Prime Minister looked back on their promises, to each other and the public, in the rose garden two years before. They restated the need for the Government to roll up its sleeves to translate each commitment in the Coalition’s Programme for Government into tangible success on the ground. Permanent Secretaries were already taking steps to make this happen. With their Non-Executive Directors, they were transforming their departments to be more businesslike: cutting back on new policy initiatives, bringing in skills from outside to help deliver their major projects, and focusing at board level on the biggest implementation challenges and risks. Another strong signal of intent was the Prime Minister and Deputy Prime Minister's decision to set up the Implementation Unit (IU) in the Cabinet Office, to oversee implementation across Government, support departmental capability and provide informed, hard-hitting advice on specific implementation issues to those at the top. Under the leadership of Will Cavendish, this brought together all-of-Government implementation with the implementation of public service reform, through Open Public Services, and deregulation, through the Red Tape Challenge. A reborn Prime Minister's Delivery Unit? The birth of the IU may at first have raised eyebrows. It bore more than a passing resemblance to the Prime Minister's Delivery Unit (PMDU), which had been influential under Tony Blair but had not fitted the style or structure of the Coalition Government. But those in the know quickly spotted some important differences that would allow the IU to become influential in today’s Government. In particular, it adopted a more flexible approach than its predecessor. PMDU rightly gained a global reputation for its insight across three core public services: health, education and crime reduction. But times have changed and this Government’s unwavering focus on growth, as well as wider social policy, called for a broader, more fast-moving implementation agenda, spanning more departments. From superfast broadband to accident and emergency waiting times; the two-year-old childcare offer to Right to Buy; the staff in the IU apply their skills across a diverse set of areas. With a broader remit, prioritisation and clarity about the problems that need to be solved is vital. The IU works to an agenda set quarterly by the Prime Minister and Deputy Prime Minister. Although it regularly undertakes rapid analysis to meet ministerial needs, the IU’s main work is to undertake six to eight week ‘deep dive’ reports that aim to get right to the bottom of thorny implementation issues. These build on many of the techniques developed by PMDU. Week 1. A deep dive begins with one or two simple questions, usually focused on an implementation concern, e.g. does the experience to date of local areas suggest that a given programme is going to meet its stated ambitions? What are the barriers and how can they be overcome? Week 2. Ensure that all stakeholders are clear about the purpose of the deep dive — it is really important that everyone agrees on the issue and is bought into jointly solving any problems. Week 3-4. Conduct a full programme of fieldwork with stakeholders, interviewing people at every stage and every level of implementation, ensuring a broad, representative sample. This might entail national-level interviews as well as day-long visits. Bring this together with a substantial programme of quantitative desk analysis, using a variety of public and other data sources. Week 5-6. After testing emerging findings with stakeholders — and conducting additional interviews and analysis — produce a short, focused report, clearly setting out issues and presenting actionable recommendations. Week 7. Discuss with ministers and those leading implementation to turn the recommendations into action. After. The agreed action is always followed up, to retain ongoing sight of implementation. Support is available when it is needed. Another area of difference is the IU’s oversight of Departmental Business Plans. The previous Public Service Agreements, led by PMDU, were lauded for their attention to detail and alignment of inputs, actions, outputs and outcomes, but the corresponding bureaucracy frustrated many of those striving to reform public services. In place of this complexity, the Business Plans present the Government's simple to-do list of policy commitments and implementation milestones, with progress reported to the public in real time, through the No. 10 website. Over the course of the first year of the IU, a streamlined, digital back-end system was developed. This digital system has helped to reduce the requests for information that the IU needs to make. With less paperwork, departments' boards are able to be more business-like, and to prioritise their own activity – without losing focus on the Government’s core commitments. At the heart of the Government’s approach to implementation is an emphasis on generating and using evidence. User feedback is now central to the NHS, with the introduction of the Friends and Family Test in every ward. More than 1.6 million patients responded in the first year: 25 times more than completed the National Inpatient Survey in 2012. The IU itself has a team of analysts who ensure that the highest standards of evidence and insight feed into its work. These days the use of open sources, What Works insight and big data analytics sit happily alongside more traditional data requests. 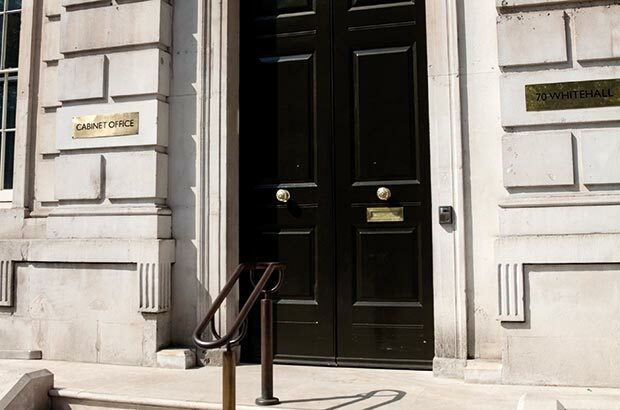 There’s a strong focus on frontline intelligence – civil servants and ministers venturing far beyond Whitehall and systematically interviewing service users, public-facing staff and managers. Asking simple questions, finding out what's getting in the way of implementation and bringing back sharp messages to those with the power to unblock issues. More often than not, the problems and solutions are disarmingly obvious but the message just hadn't been getting through. Last year, when the IU looked back on the factors that most often stand in the way of good implementation, it found they were basic things like management information, organisational silos, commercial understanding and communications. Each of these areas is now being addressed as part of civil service reform. Good implementation is not rocket science. It's about doing all the basics well, like focusing properly on implementation at the policy stage, looking through the lens of the consumer and knowing what’s happening on the ground. That’s always easier said than done but the Government’s focus on implementation is paying dividends. Take the Troubled Families programme, which has helped transform the lives of tens of thousands of the hardest-to-help families, with children back in school, youth crime and anti-social behaviour reduced, and more adults in continuous work. Then there are the hundreds of new free schools and academies, and the broadening of access to higher education and apprenticeships. And the continued focus on growth has seen real progress through a wide range of programmes including New Enterprise Allowance, start-up loans, Right to Buy, Help to Buy and rural broadband. As we move into the final year of the parliament, civil servants remain focused on making policies happen, improving services for the public and running them more efficiently. This focus will still be there, just as strongly, in the next parliament. Start implementing at the policy stage. Ensure implementation is designed in from the start by focusing more on the how at the ideas stage and not letting go of the policy work until a clear implementation plan is agreed and in train. Ensure all stakeholders are crystal clear on purpose. If subsequent implementation shows that the policy was wrong, don't be afraid to take it back to the drawing board. Make sure you get real-time, high-quality data. You and others will want to know what's really happening on the ground, as it's happening. So build in the management information and outcome measures that will tell you. Put the customer first. Well designed delivery systems, accountability frameworks and funding pots count for little unless services are built around the needs of the user. Ensure that implementation is targeted on what the customer wants, how they behave and what incentives they need. Get out to the front line. Bring the insights back for decision makers. Often implementation blockages are painfully obvious to those on the front line, but they don't always have the power to change things. Decision makers will respond well if you can expose them to real life issues, as well as understanding the delivery system. Prioritise communication. With so many people involved on the way to the front line, it's easy for objectives to get lost in translation. And it's easy for the public to be out of touch or bemused by jargon. Emphasise communication at every turn – and communicate successes to inspire and share best practice. Hi, thanks for an interesting article. I just wondered how this approach re identifying pitfalls/implementation differs from the standard Programme Management model, (PPM) with its emphasis on (a) establishing the business case for change (with clear numeric targets), (b) using stage reviews to check that the intended benefits are on course for delivery, and (c) having an Exit Strategy if not (i.e. before any more resource is thrown at the problem!) I would welcome your comments please. There are some sensible thoughts in this article. However, I found it worrying that there was no overt reference to establishing both the mindset and methodologies of project management. This has been much analysed and identified as a missing 'critical success factor' for the success of government programmes. One important, well recognised obstacle to establishing the necessary mindset and methodologies has been a kind of blindness to the need to tackle 'ambitions' and 'visions' with a project management approach. This was articulated well by King and Crewe in their book: 'Blunders of our Governments'. They state: ‘one strange feature of several of the blunders that we have studied is that although they had all the characteristics of an ambitious and complex projects, they appear never to have been thought of in those terms- as projects. The ministers and officials involved treated them as though they were somehow a normal part of the ongoing business of government. Your CSQ article above includes this passage: 'Good implementation is not rocket science. It’s about doing all the basics well, like focusing properly on implementation at the policy stage, looking through the lens of the consumer and knowing what’s happening on the ground.' Here is just one place that using the mindset and methodology of project management is fundamental but not mentioned. The CSQ article refers to the understandable concern that the work of the central Implementation Unit could be hard to reconcile with the principle of devolving responsibilities, delegation and trust. Could it be second guessing and duplicating work that should be happening at Departmental level? In the area of business strategy (with which I am more familiar) this is thought about like a parent child relationship - how far to let go and when. That is a useful analogy. I think that a valuable and constructive input for Departments that can usefully (uniquely?) come from the centre is the mindset and methodologies of project management that I've referred to. This ought to be two pronged approach for building a strategic capability. It would be a two pronged approach comprising: A) setting it as a mandatory requirement while also B) providing practical support. e.g. to ensure methodologies are reasonably consistent across the Civil Service between departments and that there is some shared learning. I am seeing this as a multi-facetted capability. Indeed, I would see many of the good thoughts under the heading above: 'five things you can do to improve implementation', as sitting within this, more comprehensive framework. A couple of further points about project management that are sometimes misunderstood. First, mastering project management is much more than following the methodologies (e.g. Prince 2) and doing the documentation. The tough parts are to do with leadership and culture - some of your 'common implementation pitfalls' are symptoms of these not being addressed. Secondly, there is a common misconception that a proper project management approach is something you have to 'resort to' for big IT programmes but don't have a fit to other policy areas. I could imagine a reaction along the lines that that project management is nothing new and is being done already thank you very much. However, as stated in the Civil Service Reform Plan: "Government’s past performance on major projects has been poor, with around a third being delivered on time and on budget. Much of this failure has been because policy gets announced before implementation has been fully thought through, and because civil servants have not been given the skills and tools needed for good project management."